The Hot Dawg has a design based on industry-favorite elements that make this a must have for every operator. It produces a large amount of thrust coupled with an ideal weight to make this a go-to nozzle. Constructed from heat-treated alloy steel to ensure a long career on any unit. 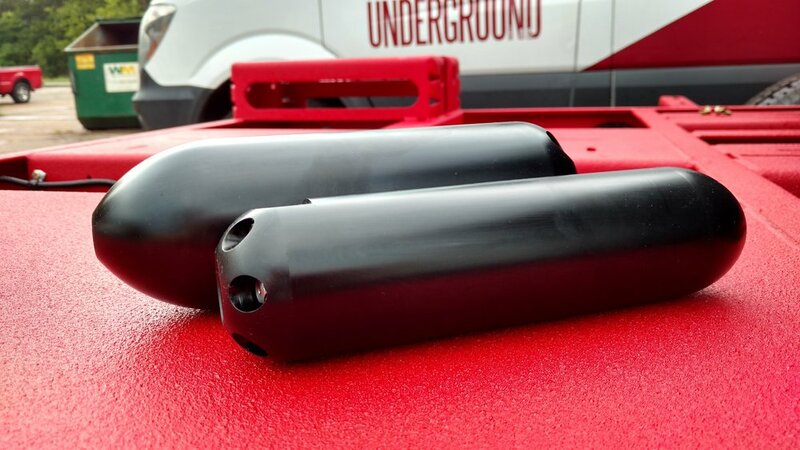 Replaceable inserts installed to match your water system. Coming oon with a 1" rear port as well. Why did you make the nozzle so long? 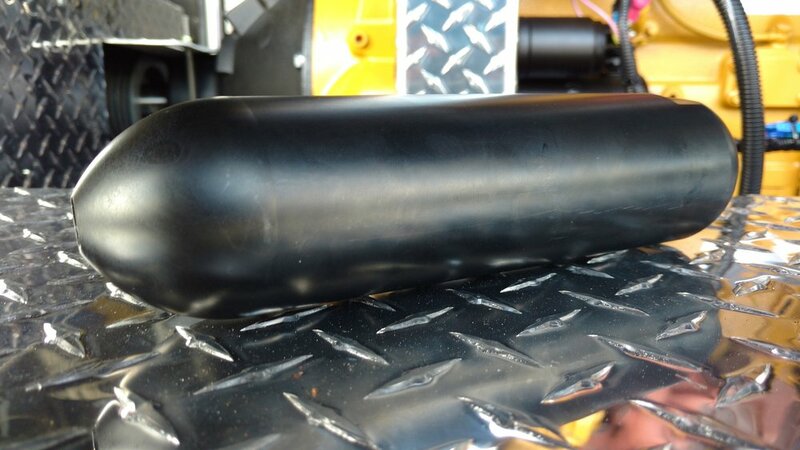 We wanted to eliminate the need for a fin/tube skid for 3/4" water systems. When using this nozzle a fin skid is not needed. Also, adding more metal adds life to the nozzle by giving more sacrificial metal. Why doesn't your nozzle fly to the top of the pipe? We design most of our mainline nozzles with thrust as the primary consideration. 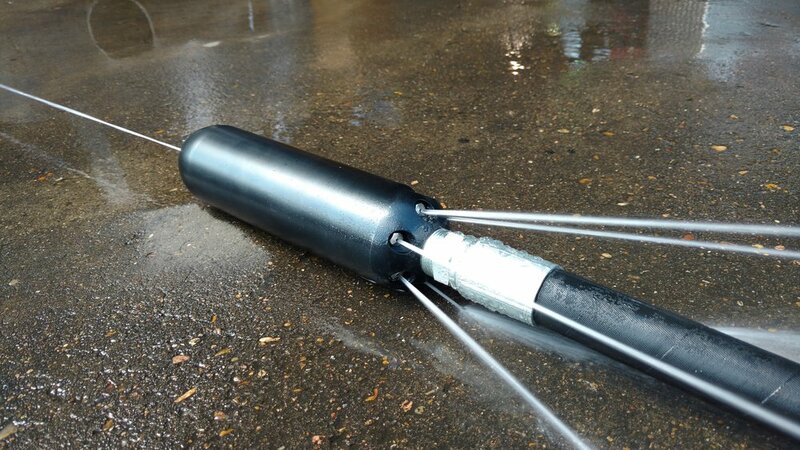 We couldn't pull hose as fast as we do with this nozzle if we had designed it with 30 deg rear jets. It would have focused too much on the wall of the pipe instead of pulling debris back to the manhole. How is your nozzle a Tier III? 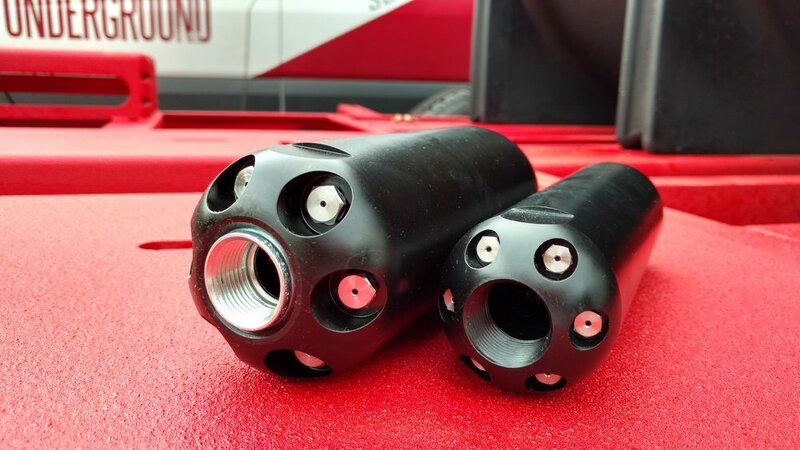 We still incorporate features that made it much more efficient than a standard nozzle with our 1 piece design. 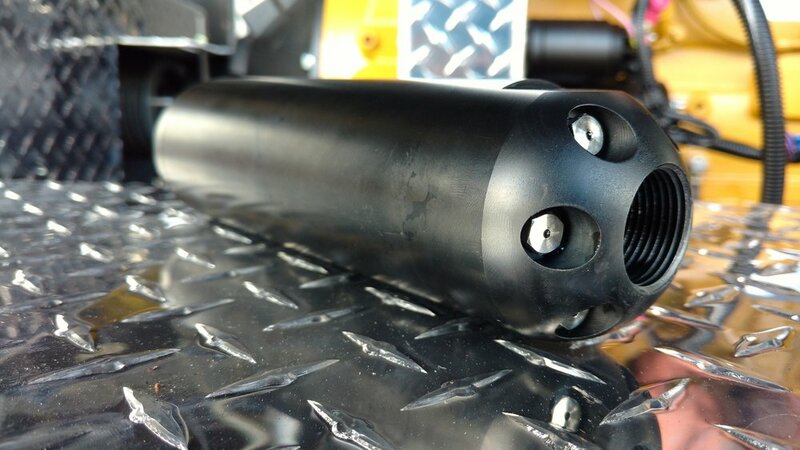 Is this nozzle for better for Sanitary sewer work, or stormwater work? This nozzle excels in both types of work.